This is very simple and yet yummy vegetable one can prepare. Besides that it gets prepared quickly, hence a time saver too. Those who have not at all tasted this vegetable should try and taste it. Heat oil in the pan. 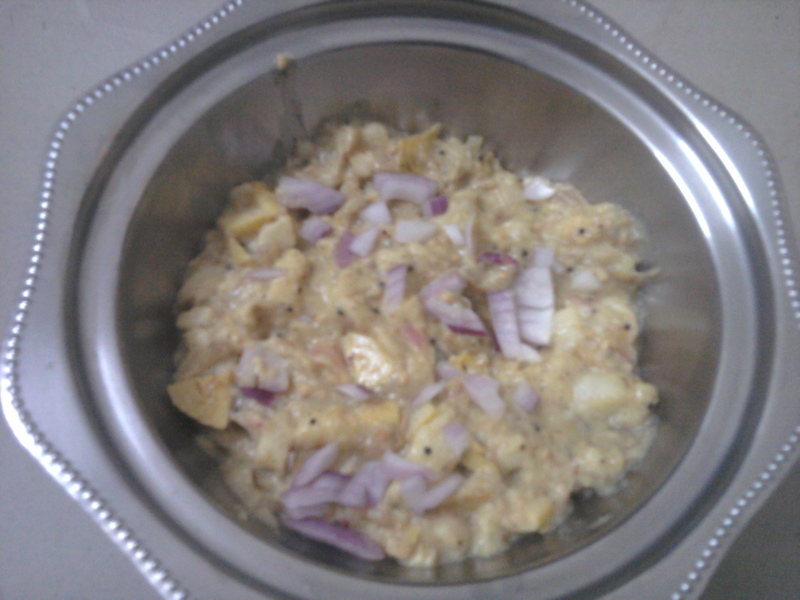 Give tadka with finely chopped onions. Then add red chili powder, turmeric powder and salt according to your taste. Then add chopped guava in the tadka and keep stirring it for 2-3 minutes till the mixture is homogenous. There is no need to adding water as that will change the taste of vegetable completely. If you like you can add finely chopped onions as toppings. Otherwise plain vegetable also tastes well. And the vegetable is ready to serve.